This is actually referring to the AX2012 Visual Studio tools. 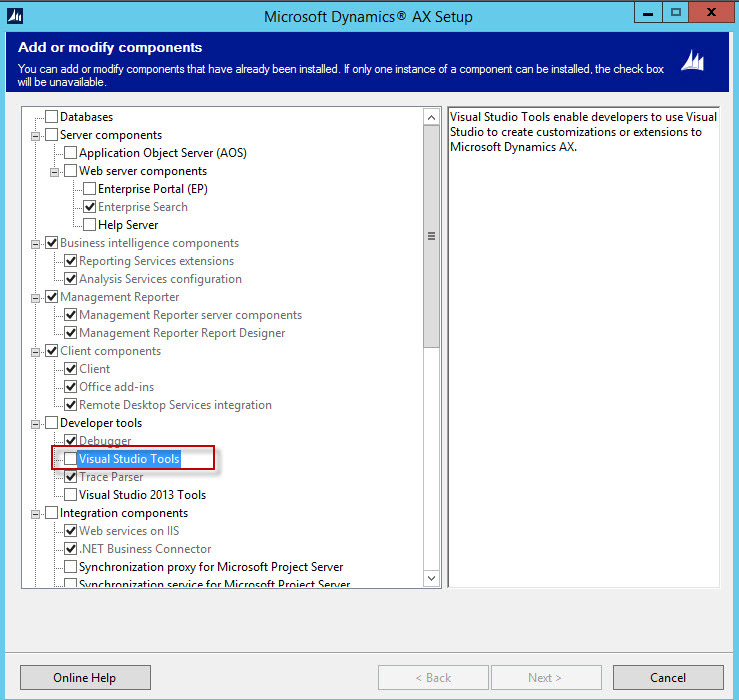 You will have to run the AX R3 product CD and choose the option to remove the Visual Studio Tools. 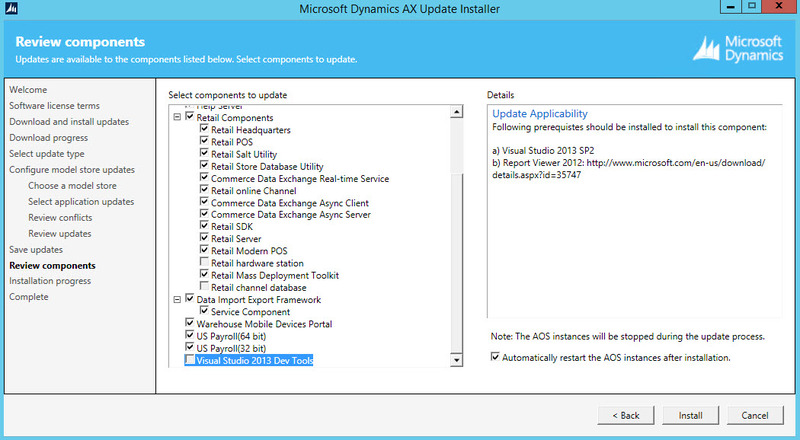 Then when you restart the updater it will allow you to have the AOS selected for the update. 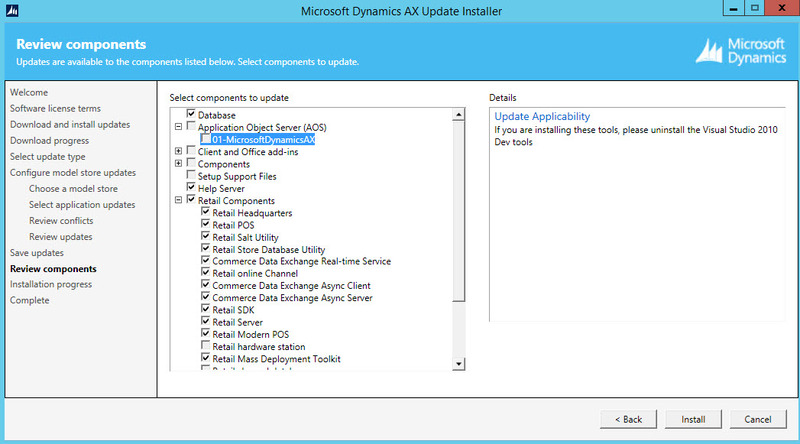 If you notice down the bottom of the update installer there is a new option for Visual Studio 2013 Dev Tools. So if you want to install the AX Visual Studio tools back in for R3 CU8 you will have to update Visual Studio to 2013 SP2 as a minimum. So if you are trying to update the R3 Demo VM that Microsoft ships to partners keep this in mind as it has the Visual studio tools installed. We tried to install Visual studio 2013 component on our R3 CU8 environment and it installed with out any error. But when we open AX it is showing some system code and we are facing lot of errors. Once we uninstall VS Tools it is working fine. Any idea on this.